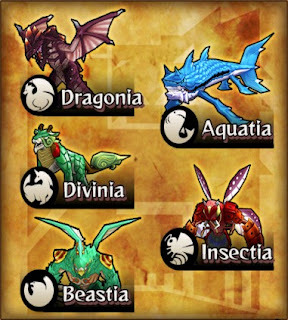 Here's a beginner's guide for the action RPG mobile game: Monster Gear. Gear up, collect, and upgrade gears infused with the souls of slain monsters and bring it into the heat of battle. Mix, match, and master hundreds of different equipment combos featuring five weapon types, natural elements, and monster equipment classes. - Points which are expended each time you play a quest. The required amount of stamina points are defined for each quest. One unit of stamina is recovered every 5 minutes. - Stamina can also be restored by using items such as Rainbow Cogs and Pork Chops. Furthermore, stamina is fully recovered when you level up. - Your player level goes up by earning a set amount of EXP (Experience Points) in quests. - Going up a level not only fully restores your stamina, but also extends your stamina capacity. - Gear experience points can be earned by fusing gear/s. - A numerical value representing how much a gear has been upgraded that increases as you accumulate gear EXP. Gears have their own maximum level, which can be increased by fusing it with an identical gear. - Refers to a hunter's total strength in battle. - Refers to the strength of a hunter's attacks. The higher this stat, the more damage you can inflict on monsters. - Refers to how much damage a hunter can take before he is defeated. - Refers to the critical rate of a hunter's attacks. - The higher this stat, the higher chance of landing a critical attack that deals increased damage. - Refers to the elemental type of a hunter's attacks. The higher this stat, the more element damage inflicted. - Refers to a hunter's resistance against elemental damage. The higher this stat, the less element damage taken. - Gold is the main currenct used in Monster Gear. It's used when upgrading and enhancing gear. - Gold can earned by completing quests and missions, or by selling gear/s. - Used for restoring your Stamina, spinning the Deluxe Gacha, continuing when defeated in battle, expanding your inventory, exchanged for useful items in the shop, and more. - The Normal Gacha can be spun with 200 Silver Cogs. - Silver Cogs are earned wither by taking a Helper with your on a quest, or your Hunter assists another player as Helper. - Can be exchanged for limited gear and other consumable items at the Medal Trading Post. - Hunter Medals can be earned from Daily Quests, or by selling gear that is 3* or above. - Note: Gear awarded in hunt events or other 3* or above gear cannot be sold for Hunter Medals. Gears are divided into WEAPONS and ARMOR, with each type further broken down into different types. Your Main and 2 Subs can equip any weapons and armor you might like, and you can also switch control between them too. - What they lack in attack power and guard capabilities, they make up in speed and ability to chain together combos. - Special Attack: Unleashes a flurry of consecutive blows. Following up with this attack after a combo will increase the number of hits. - Note: Fast attacks, and excellent for chaining up combos. When the combo count reaches a certain milestone, all allies will get an attack boost multiplier! But if all allies don't guard and fall at the same time, the combo resets to zero. - A very nice suitable weapon for a support AI Sub or Helpers, since their Special Attacks doesn't require tap and hold. A must have weapon if you want to dish a lot of damages! - It can inflict poison, blind or feeble with it's attacks. However, it's guard capabilities are subpar. - Special Attack: Loose an arrow that inflicts a status ailment on a monster. Following up with this attack after a combo will boost chances of inflicting a status ailment. - Note: Different bows can add different ailments. - A suitable weapon for a support AI Sub or Helpers, since their Special Attacks doesn't require tap and hold. - While it does not boast the strongest attacks, it's high guard capabilities and ability to heal allies helps keep battles under control. - Special Attack: Tapping the Special Attack button right as a monster's attack connects lets you nullify the attack's damage and execute a counterattack. A successful counterattack will make the monster drop hearts, which heals you and your allies. Following up with this attack after a combo boosts the amount of hearts that drop. - Note: Nice healing capabilities, but needs practice to master. This might not be a suitable weapon for AI Subs and Helpers due to it's counterattack timing. - While it's attacks speed is slow, it excels at both offense and defense, and can also cause monsters to faint. - Special Attack: Hold down the Special Attack button to swing your hammer and stun enemy monsters. Following up with this attack after a combo boosts the amount of stun inflicted on monsters. - Note: The stun effect is really good for the team. Multiple Hammers also share the same Stun bar, so more means faster stun chance. Some monsters have longer Stun bars though, making them harder to stun, so beware. - A nice suitable weapon for AI Subs and Helpers, if not interrupted a lot. Nice combo with Daggers to increase damages. - While it's attack speed and combo capabilities are subpar, it has extremely high attack power, dealing the most damage out of all the weapons. - Special Attack: Hold down the Special Attack button to deliver a devastating blow on an enemy monster. Following up with this attack after a combo boosts the amount of damage inflicted. - Note: Slow but can dish out huge damages if done right, best combo with Hammer's stun effect. Can be a suitable weapon for AI Subs and Helpers, if not interrupted a lot. You can equip armor for your HEAD, CHEST and ARMS/LEGS, boosting your HP and your elemental resistance. - Head armor, or helms, also grant special skills called Helm Skills when paired with the right WEAPON type. When you equip gear of the same class or family as the head gear, the effect rises. - Your first weapon of choice is a guaranteed 3* gear. - From the Home screen, go to Missions > Bonus. - Scroll down and look for the Weapon Mastery Bonus Missions, enter and complete each tutorial to get free 3* weapons. - If you are playing Monster Gear with your Facebook Account, you can invite a number friends to receive a set of 4* gears! - Gacha can be spun to obtain new gear. Note: Spinning a Gacha when your gear inventory is full will send the won gear to your Gift Box. - Use Silver Cogs to spin the Normal Gacha. You get 10 free spins of Normal Gacha every 6 hours. Boostoads, which grant large amounts of gear EXP, and Elevatoads, which can be sold for large amounts of gold, can be won from the Normal Gacha. - Use Rainbow Cogs to spin the Deluxe Gacha. You have a higher chance of winning high rarity gear from the Deluxe Gacha. Each Act has its own Deluxe Gacha, yielding different gear. The Quest Map is where you can select which act/quest you with to play. New Acts are unlocked by completing the main quest. Furthermore, each act has it's own Gacha Ruins, which expand the types of Gacha that you can spin. - Advance through the main quest to progress through the story and unlock new acts. - Quests that are tied to a gear. Gear quests are unlocked when you obtain their respective gear from battles or the Gacha. Monster souls, used for gear enhancement, can be obtained from the monster's gear quests. - Some quests may have an element, and there are some quests that, when played, will activate certain gear skills depending on the element of the quest. - Quest elements for the main quest are denoted with a colored icon on the quest map. Note that gear quests do not have any element. - Missions are requests issued to hunters from the Geargaga Kingdom. Completing missions entitles you to rewards. - Tap the Claim Reward button after completing a mission to claim that mission's rewards. - You can attack monsters by tapping the Attack button. You can chain up to 5 attacks in a combo. - Holding down the Guard button puts your hunter into a defensive stance that decreases damage taken from monster attacks. Tapping the Guard button just as the monster's attack connects will execute a Perfect Guard, completely nullifying damage. - Perfect Guard will sometimes trigger just by spam tapping the Guard button, still risky though for tough fights. - Tap the Special Attack button to unleash your currently equipped weapon's special attack. - Refer to the "Types of Gears" section above for more info. 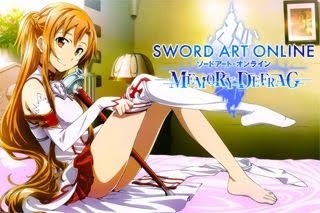 - You can also practice your Special Attacks via in-game Menu > Weapon Tutorials. - Inherited special attacks and skills possessed by each gear. 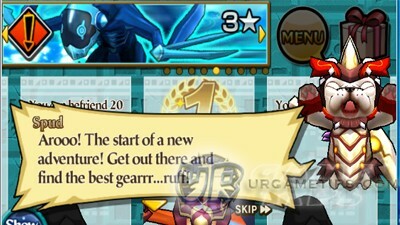 - Gear Bursts can be unleashed in battle by tapping a gear's icon when it's Gear Burst gauge is full. They have a variety of effects; such as dealing damage to enemies, or buffing your allies' stats. - They can be executed by continuously attacking. Boosts your entire party's attack power by chaining together large combos. - Helpers are other player's hunter that you can take in battle. Using Helpers rewards you with Silver Cogs. Furthermore, you can also earn them when your own hunter is used as someone's Helper. - To increase this chance, it is nice to add and/or accept more Friends in-game. - For best results, hire Helpers with high Might Stats or with preferred Elemental Attack, Resistance, or even Weapon equipped. - When you defeat monsters, they can drop souls and gear. However, all drops are lost if you are defeated. - If a monster drops valuable souls or gear, ensure you finish the battle even if it means using a continue! (Note that this is optional). - Poison: Gradually decreases HP over time. - Blind: Attacks have a chance to miss their target. - Feeble: All stats are decreased. - Fear: Can only combo one hit at a time. - Stun: Unable to act. Effect does not end even after taking damage. Tapping rapidly decreases the stun duration. - Sleep: Unable to act. HP is gradually restored while asleep. Effect ends after taking a certain amount of damage. - Ablaze: Unable to act. Water resistance drops to 0. - Freeze: Unable to act. Sylvan resistance drops to 0. - Tangle: Unable to act. Fire resistance drops to 0. - Stone: Unable to act. Effect does not end even after taking damage. - Shock: Unable to act. Inflicted when a monster lands on the ground. Avoidable with a Perfect Guard. Effect ends after taking damage. - Electrocute: Unable to act. Ignores defense, decreasing HP over time. - Seal: Unable to use Gear Bursts. - Berserk: Stats change, and behavior becomes more aggressive. - Agony: Unable to act. Inflicted after certain consecutive attacks or after dealing a set amount of damage. - Stun: Unable to act. Effect does not end even after taking damage. - Sometimes in battle, a heart icon will appear on a monster. Landing attacks on a monster while the heart icon is shown will cause it to drop hearts, which restores HP. - Heart Bonus Chance: Sometimes in battle, a golden heart icon will appear on a monster. Landing attacks while the golden heart icon is shown will cause it to drop golden hearts, which restores more HP than normal hearts. - A monster will sometimes generate a barrier around it's body that defend or counters hunter's attacks. For a normal Barrier, damage is reduced while the barrier is active, on the other hand, Counter Barriers can partially inflict damages back on the attacking hunter. - Barriers can be broken by dealing a certain amount of damage, or unleashing specific gear bursts. - Tap the Optimize button to automatically equip the best gear fro all 3 members. - Presets are sets of gear for your 3 hunters that can configure beforehand. You can have up to 5 Presets. Select the one you want to use before starting a Quest. - Tapping the TapLink screen at the same time as someone nearby lets you become in-game friends. Friends made through the TapLink feature are referred to as Partners, and awarded with more Silver Cogs when used as Helpers. - You can befriend other players after taking their hunters with you as Helpers on a quest. - You can search for a friend and befriend them with their friend code from the Friend Search screen. The Friend List shows players that you've befriended. - A gear can be upgraded by fusing the base gear with material gear. - The EXP gained from the fusion depends on the level and rarity of the material gear. However, the higher the base gear's level, the more gold it will cost. 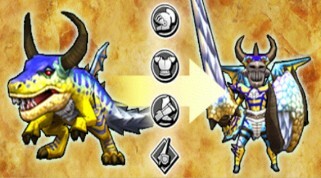 - Furthermore, fusing gear of the same type of from the same monster will result in more EXP gained. Fusing a gear with the exact same gear will increase it's level cap. - Lastly, when fusing gear, a Grand Success might occur, resulting in bonus EXP gained. - Gear can be ascended by fusing it with one more of the same gear. This increases it's maximum level. - Gear can be enhanced by fusing it with certain souls. Enhancing gear strengthens it's skill. - Souls pertaining to a particular class of monster; such as Beastia or Aquatia. - Can be collected more effectively through Daily Quests. Certain types of Class Souls are more easily obtained depending on the day of the week. - Souls pertaining to a particular monster. Both types of souls can be obtained through quest drops. - Individual Souls can be collected more effectively through Gear Quests. Complete a monster's Gear Quest to obtain the monster's souls. - Gear can be evolved by fusing it with certain gear and a Newtoad as material. The base gear must be at it's max level prior to any Enhancement. To check which current gear can be evolved, consult the game News. - Note: When evolved, a gear's rarity goes up, but it's level is reverted to 1. - Note: After a gear is evolved, it can be enhanced once more, making it significantly stronger. - Note: When multiple amounts of the same gear are required as a material, enhanced gear will count as multiple amounts depending on how many times it was enhanced. - Orbs can be attached to gear to boost their elemental properties. To remove an orb from gear, you'll need an item called Orbegone. - Generally, orbs are created with an orb recipe and a set amount of souls as material. For details on what orb have been implemented, consult the game News. - Orb Recipes are items required to create orbs. Generally, orbs are created with an orb recipe and a set of souls as material. Please consult the game News for details on orb recipes in the game.